Free sailboat rides, crewed by Annapolis Community Boating, are available on-site at the Annapolis Spring Sailboat Show. When you need a break from touring the show, spend 30-45 minutes sailing in the Annapolis Harbor with experienced sailors. No experience necessary and all ages welcome. 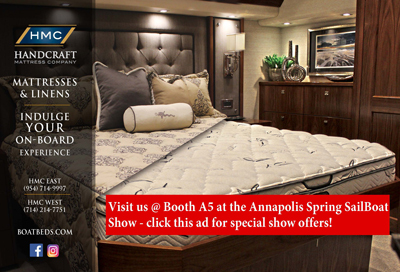 Register with Annapolis Community Boating on the docks at the show!